EXCLUSIVE! And ganache, don't do anything radish. 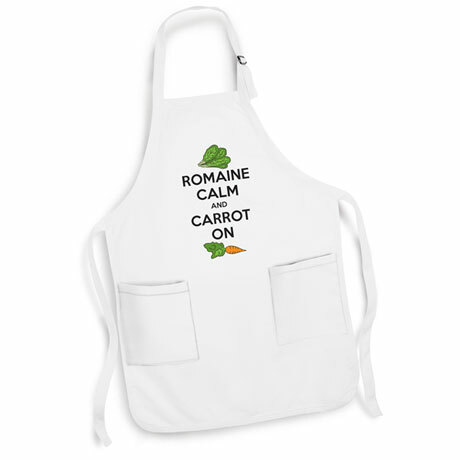 A punny apron for the gourmet who also loves wordplay. White apron is one size.